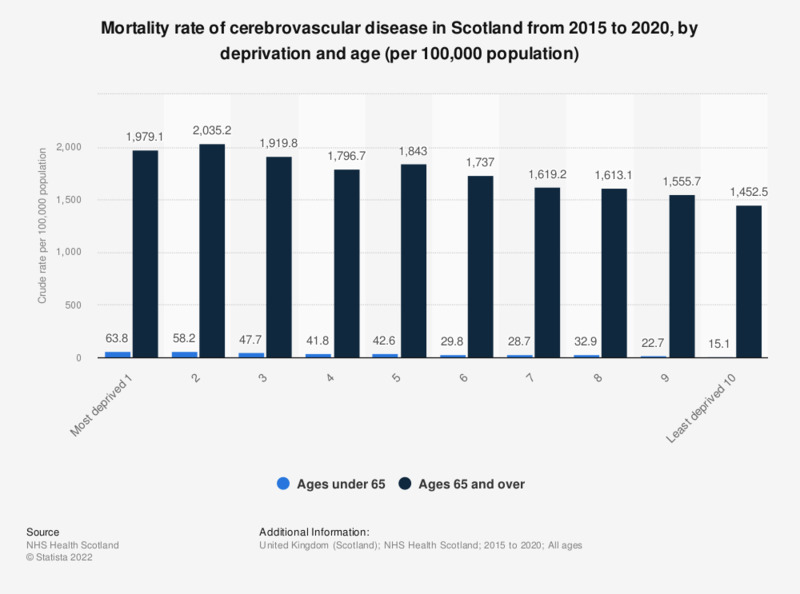 This statistic displays the mortality rate of cerebrovascular disease per 100,000 population in Scotland, from 2013 to 2017, by deprivation and age. The mortality rate for cerebrovascular disease is much higher in individuals aged 65 years and over and much higher in individuals living in the most deprived areas. Individuals in the most deprived bracket and aged 65 years and over had a mortality rate of approximately 2200 per 100,000 population.